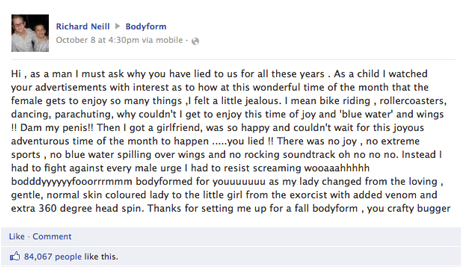 In response to this much “liked” Facebook post, the “CEO” of Bodyform took to YouTube with a hilarious, and entertaining yet very empathetic (to their actual customers, not whiny dudes) video response. Genius. It’s fun, and delightfully British. But here’s what you might have missed. 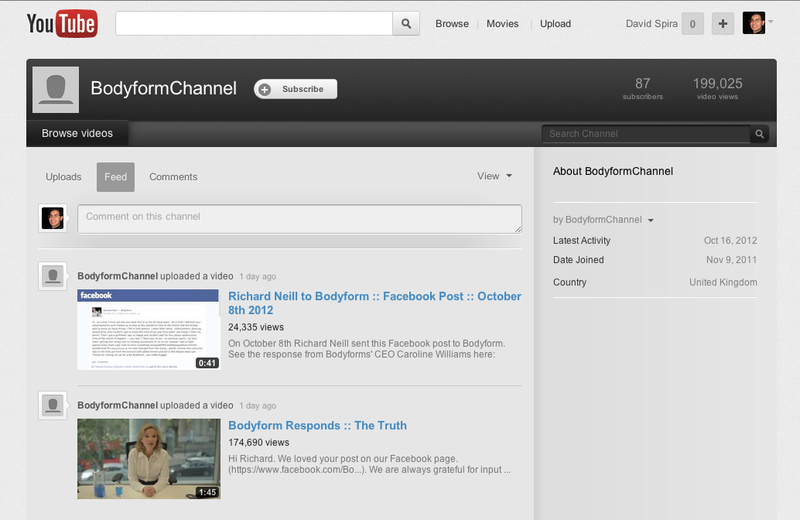 Click through to the Bodyform YouTube Channel… It’s unbranded. Now I’m sure that this will change rather quickly, but it’s important to take note. Bodyform saw a unique opportunity to connect with people online in a fun and engaging way, and they did it. And they didn’t let the details get in the way of good content. Where many companies would spend months debating whether it was ok to be on YouTube; and spend more months debating the mundane design details of the Channel’s header design; and still more many months producing dry content that will neither excite, nor offend anyone; Bodyform just made something great and let it loose into the wild. This is a valuable lesson for all companies.